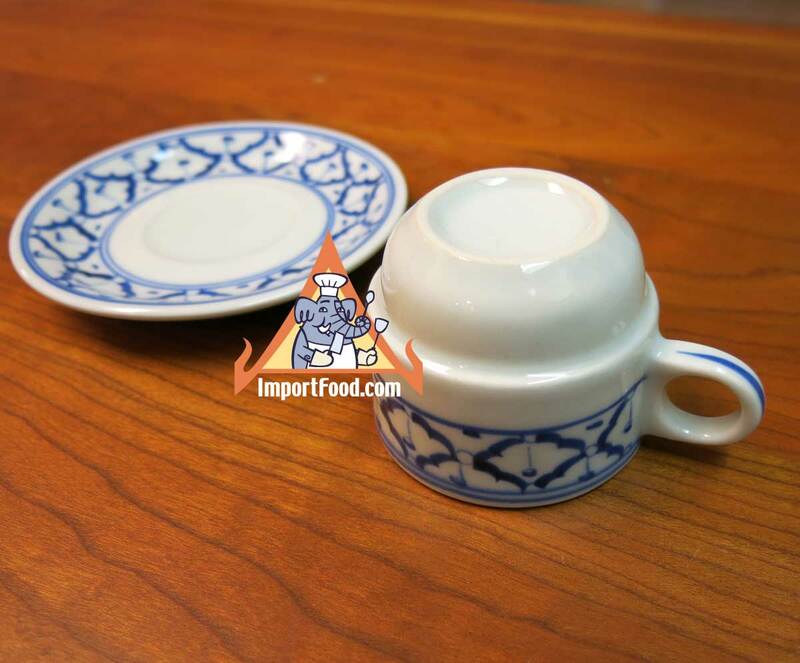 Handpainted ceramic coffee cup and saucer imported from Thailand. The cup is just 2" tall and 2.5" wide, 2 oz capacity. Typically this is served with a straight shot of espresso. The dish is 4.5" in diameter. 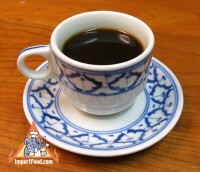 Very elegant way to serve espresso, as each piece is painted by hand using a traditional design unique to Thai artisans. Use in microwave or conventional oven, dishwasher-safe. Made in Thailand.